"The most beautiful and most refined of all known modern photomechanical reproduction techniques is the photogravure." 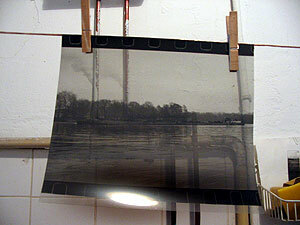 The technique of photogravure is an old printmaking technique for transferring photographs to a copper plate. The plate is laminated with a light-sensitive layer of gelatine, which after being exposed with a positive can be removed selectively. The plate is etched in several etching bathes of different concentrations, generating finest grey tones without requiring a raster structure of the used photograph. Photogravure makes it possible to combine the realistic reproduction of a photograph with the aesthetical appearance of an intaglio. 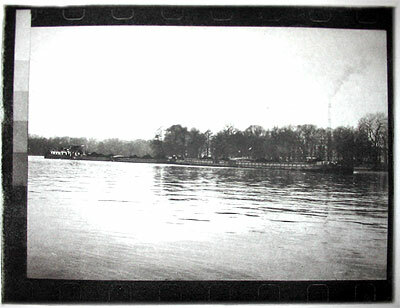 The nuances of grey tones are outstanding and can be achieved in this quality only by the technique of collotype printing. The technique combines the possibilities offered by photography and printmaking with almost no limitations. The development of photogravure is closely linked to the beginning of photography. When in the first half of the 19th century in all Europe many people were doing research about the principles of photography, the preliminary stages of photogravure were developed as well. Initial successful attempts were accomplished by the French Joseph Niepce in the 1820ies, who already laminated light-sensitive layers of asphalt - dissolved in petroleum - onto pewter plates, which could later be exposed, etched and printed. In 1840 Grove published a technique to prepare Daguerre plates for etching and printing. The Englishman Talbot developed a procedure which made it possible to laminate light-sensitive silver-based gelatine onto plates, which were exposed and etched with the help of an aquatint grain in acid bathes of different concentrations (patent in 1852). Mungo Punton played a substantial part in the invention of photogravure. Already in 1839, at the same time when photography was invented, he published his research results about light-sensitive solutions of dichromate on organic substances as gelatine and egg white. In 1854, Pretsch (Wien) and Poitevin (Paris) were the first who, almost synchronistically, used dichromatic salts as photogenetic substances in combination with macerating gelatine to create heliographic plates. Karl Klic (Austria) is seen as the inventor of heliogravure (1879). He combined Talbots procedure with a technique invented by the Englishman Swan, which is using pigment paper in the process of photographic transfer (Klic, born 1841, studied art at the Academy of Fine Art in Prag. He came to know photography while helping his father to establish a photo studio. In 1867, he worked in Pest as a drawer with chemical ink for etching, from 1873-74 he was working at the Vienna Etching Factories [Wiener Ätzanstalten], according to Eder). b) the qualitative reproduction of big editions. The photogravure solved that problem by making it possible to print the editions in intaglio with rapid presses. Soon this procedure gained more and more importance and was used in various modifications. For the transfer of a photograph, a positive is required. Before transferring a usable negative to a copper plate, one has to create a half-tone positive of the same size in the dark room. In the classical manner of aquatint, an aquatint grain is applied to the copper plate (or the carrier material, the pigment paper, is exposed to an aquatint screen). The pigment paper, a paper laminated with gelatine, is made light sensitive by bathing it in a chromate bath (2-3% of potassium dichromate - highly toxic). After drying, the photopositive and a grey scale are exposed onto the pigment paper. 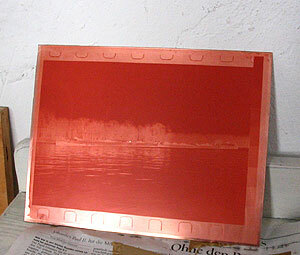 To transfer the exposed pigment paper to the copper plate, it is soaked in a tray of water. The macerating layer of gelatine on the pigment paper is fixed on the plate with a roller. After that, the plate is bathed in hand-hot water (40° C), and the paper layer is removed carefully. The partial exposure of the gelatine layer has made unexposed parts solvable, while the exposed parts hardened and so got partly or completely unsolvable. This way, the gelatine can be washed out gradually. After drying, the plate is etched in several acid bathes of different concentrations of ferric-chloride and water, starting with the bath with the highest concentration. The more water the acid contains, the more the gelatine macerates and thus opens up more parts for being etched, so that the plate, according to the different grey tones, is etched more or less deep, resulting in finest grey tones. On the right the last bath with the lowest concentration, where the lightest tones are etched The process of etching is controlled by watching the grey-scale. After etching, the gelatine layer is removed from the plate. The plate may now be printed. Barnier: "Coming into Focus - a step by step guide to alternative photographic printing processes"
Crawford: "Keepers of light - a history and working guide to early photographic processes"
Many thanks to Georg Thunert for his contribution to this article.